Our group will celebrate the Chinese Festival, Mid-Autumn Day, this special day is for family reunion or people homesick get-together eat moon cake, home cooking and drink tea under the big round moon. If you are far away from home, a little bit homesick or just curious about this Festival in China, welcome join our potluck party, and do not forget bring one of your home cooking for share! 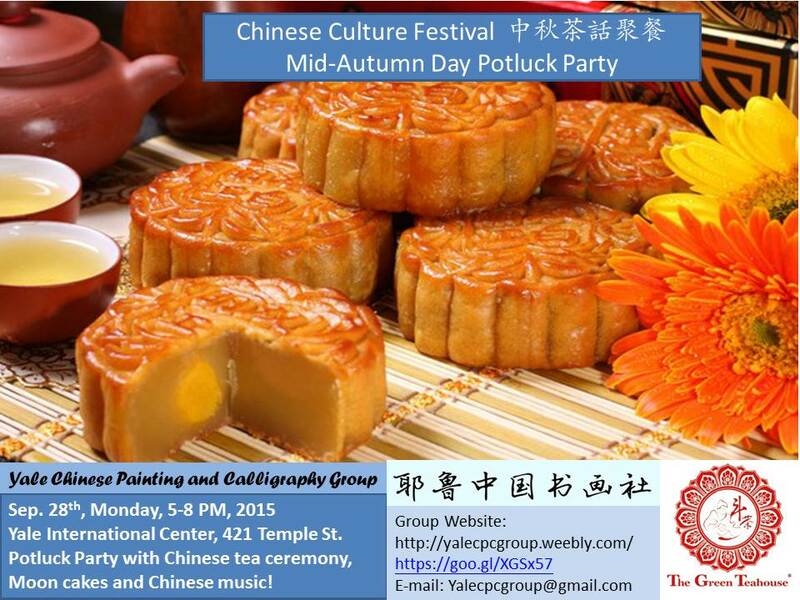 It is Sep. 28th, Monday, 5-8pm, in Yale International Center, 421 Temple Street.